C9 now includes a feature will permits you to access c9 running in your shop from anywhere on the Internet. Tools like logmein are still valuable business tools. C9 remote access and logmein compliment one another. C9 provides a solution that is designed specifically for typical c9 usage and is supported and developed by c9 software. It provides you more power, more freedom and more options for your shop. Read on to learn how to access this service. 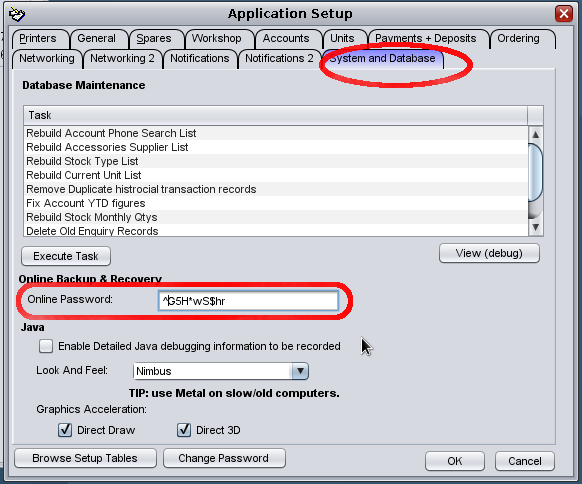 Step 1 - Setup access password. In c9, goto Setup and goto 'System and Database'. There is an option here called online password. Set this to a hard to guess password. 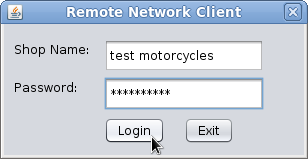 Step 2 - Test remote access. To test access. Goto c8 main web site. http://c8software.com.au/ . From here is a link to remote c9. The link is here. http://c8software.com.au/remote/. From this link, click on 'Option 1 : run installer' to install the remote c9 client. 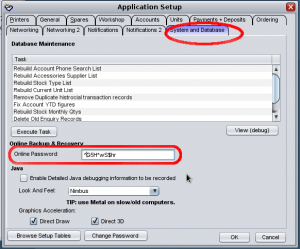 You must have Java installed on your computer for remote access to work. Goto website java.com to download and install latest version of java on the computer you are trying to access C9 from. On the computer now should be an icon for c9 remote. Click on it. A window will appear asking for shiop name and password. Shop name is name of shop. Password is password you set above. Shop names does not have to be exact. 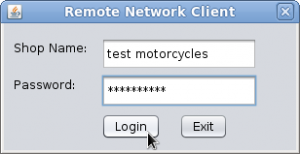 For example for 'test motorcycles' you could type in 'test' or 'motorcycles'. If there is more than one shop with similar name though, the computer will tell you that the name is ambiguous. After login c9 will run normally. If you use remote c9 often, consider using the download client option. Save the client.jar file onto your computer and just double click client.jar to start remote connection. This will mean faster startup times as java software doesn't need to be downloaded to your computer every time you want to connect.